While you might forget it in the beautiful Australian summer, in those wintry months of June, July and August you’ll need more than just a cup of tea to keep you warm. Although many commercial spaces continue to rely on plug-in heaters and radiators, these are not only energy suckers but they can be a hazard – particularly if they’re old or not used regularly. Reverse cycle air-conditioners can also be problematic, primarily due to their excessive power use. So more and more Aussie commercial spaces are upgrading to water boilers – which provide safe central heating, often at a fraction of the price of other solutions. Those who have lived overseas may be familiar with water boilers due to their widespread use in commercial enterprises and even in the household, but they are only recently catching on Down Under. Never fear, Australian Hot Water are here to talk you through what’s available, the differences and the best for your business. What is a water boiler? A water boiler is a method of central or automatic heating, which spreads hot water in pipes throughout the building. As the name suggests, these are centrally operated – meaning you’ve got the ability to warm your entire business through the same unit. There are a number of different types and they come in a variety of sizes. They run on both electricity and gas, so you’ll need to decide if an electric or a gas version is right for you. If your building isn’t gas connected, you’re probably going to have to go electric – although there are oil and LPG varieties. Electric boilers tend to be cheaper to run, quieter and more efficient, although boilers that run on gas are more likely to be environmentally friendly – unless of course your electricity source is primarily renewable. 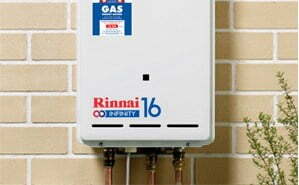 Electric boilers are also smaller than gas boilers, which means they may be more suitable if space is at a premium. The maintenance costs for each unit are comparable and are going to depend largely on the size of your building or buildings and the other needs you may have. As always, Australian Hot Water have experts at the ready, so you’ll never have to wait for technical support – or just for a bit more information.